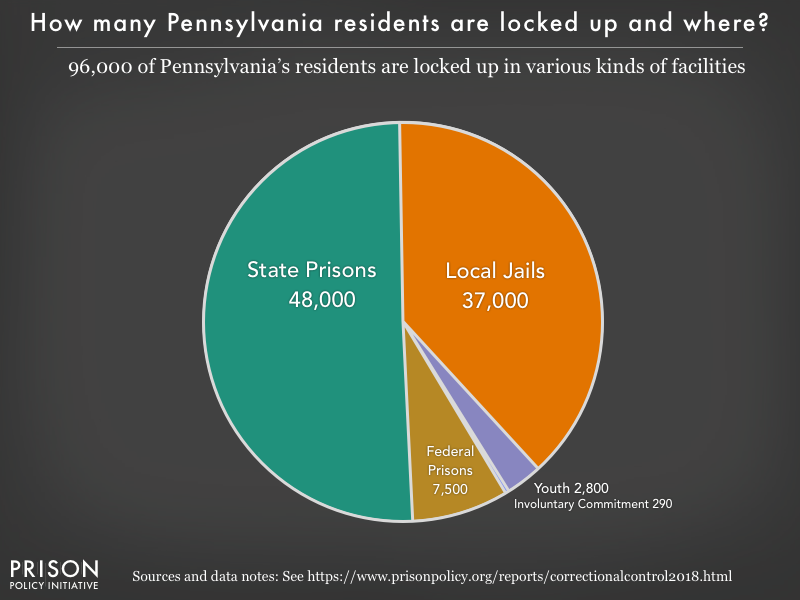 96,000 people from Pennsylvania are behind bars today. 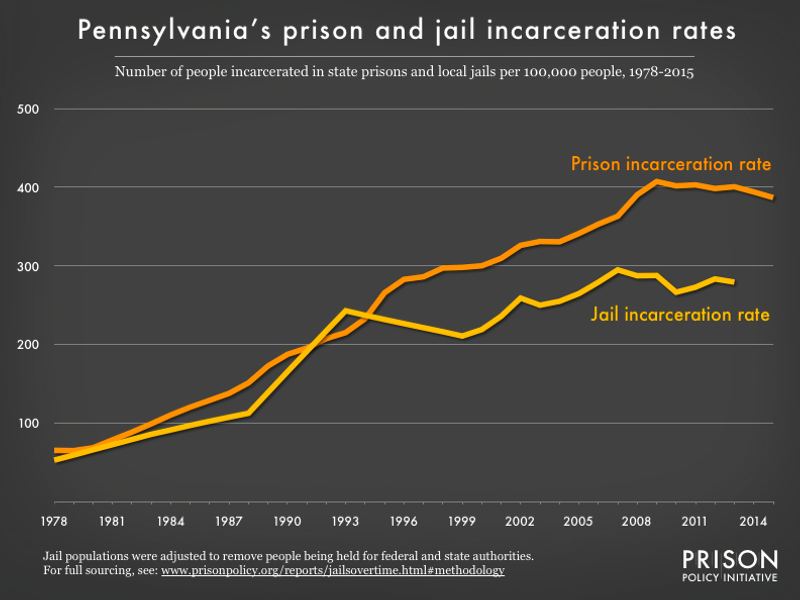 Continue reading for more data on Pennsylvania's prison and jail populations, as well as the number of people on probation and parole. 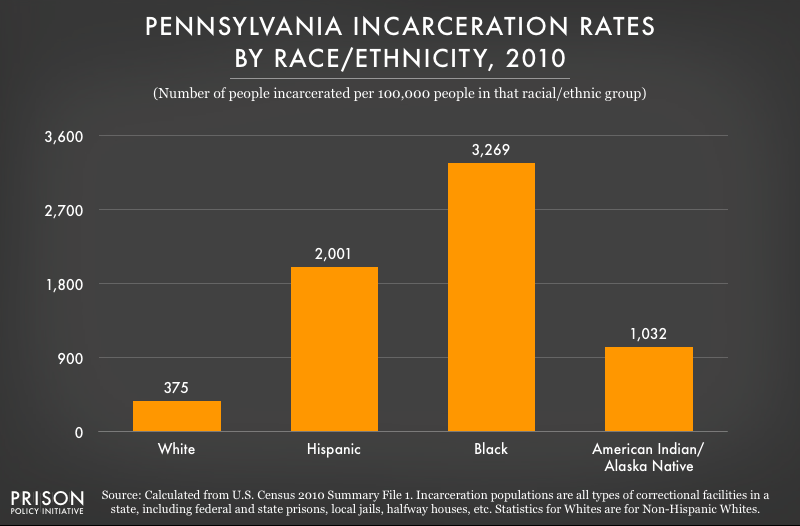 You can also see data for another state or for the U.S. in general. And if you don’t find what you’re looking for here, try our Research Library. 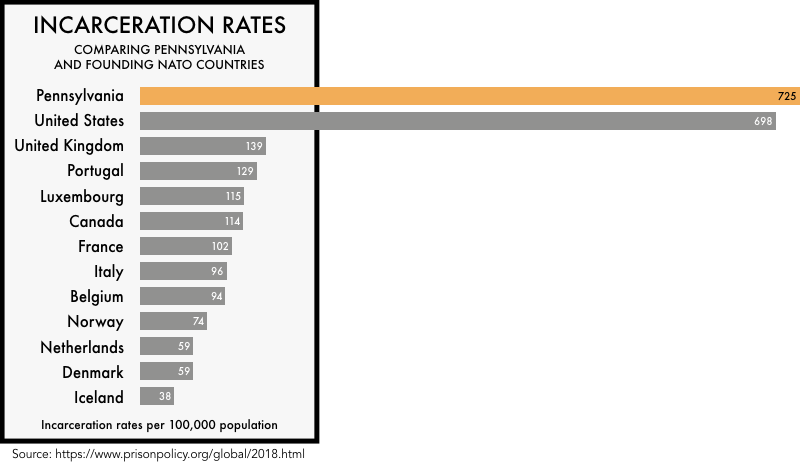 total numbers rather than rates. 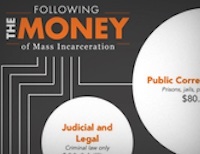 In the U.S., incarceration extends beyond prisons and local jails to include other systems of confinement. 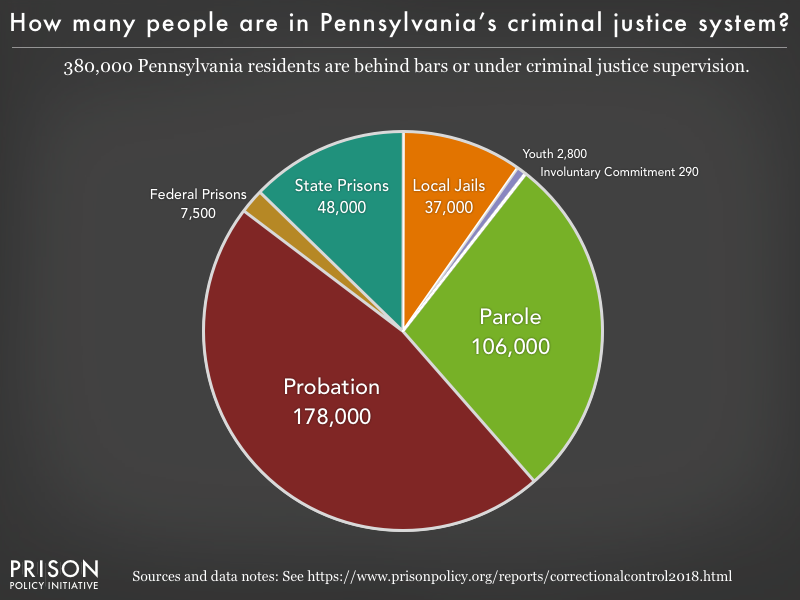 The U.S. and state incarceration rates in this graph include people held by these other parts of the justice system, so they may be slightly higher than the commonly reported incarceration rates that only include prisons and jails. 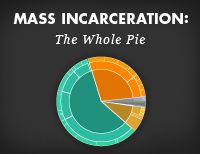 Details on the data are available in States of Incarceration: The Global Context. 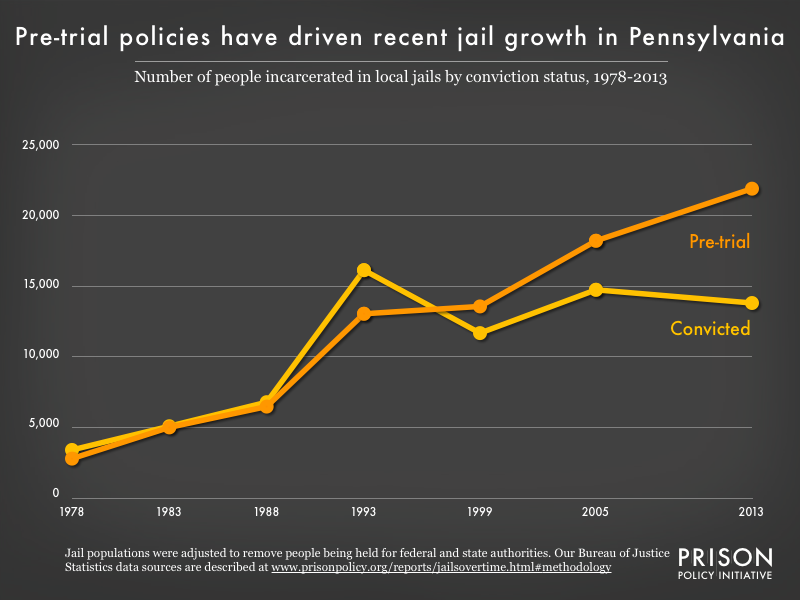 We also have a version of this graph focusing on the incarceration of women. 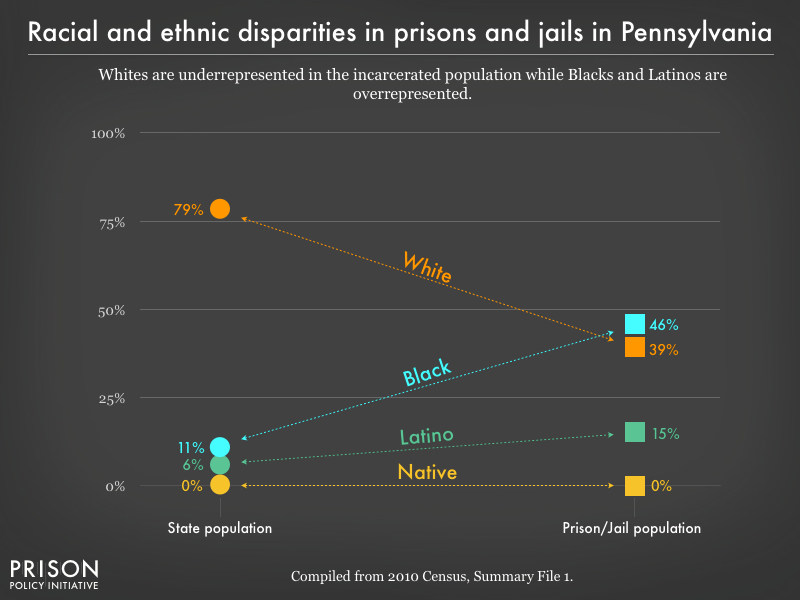 See also our detailed graphs about Whites, Hispanics, and Blacks in Pennsylvania prisons and jails.